This versatile 3-in-1 mat is perfect to take to the gym or to use at home. Designed with handstand push-ups in mind, the mat can be configured in 3 different ways to accommodate all levels of athletes. Add the middle section for assisted handstand pushups, lay the mat out flat for no help, or fold in the side pieces to allow your head to go below the level surface for a more challenging handstand pushup. 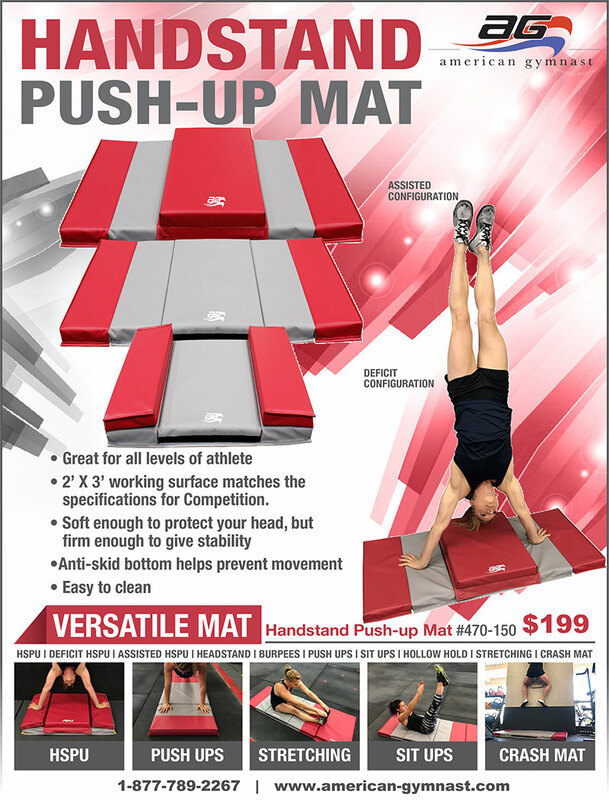 This mat is also great for lots of other general fitness exercises like pushups, v-ups and crunches, planks, and more. Plus, you can use it as general padding around your fitness areas.